Came from a Greek word “prota” meaning “of the first rank” or of primary importance the most versatile macro molecules in living systems and serve crucial functions in essentially all biological processes. An essential component of the cells and tissues used for structural purposes. It uses to broken down to Amino acids by Proteases. Proteins are highly complex molecules basically contain C, H, O, N arranged into amino acids Often include P, S, Fe, Cu, I, Zn, and Mn Consists of amino acids held together by peptide linkage. Here on this page let’s see high protein foods for babies. Synthesized by living cells and are an essential part of the structure of the cell and its nucleus. Proteins are stored in plants in the form of aleurone grains. They are required for animals as the source of nitrogen in food. Proteins are hydrolyzed to form simpler substances and ultimately amino acids. Each of our body cells is made of protein. It plays a vital role in our skin, mus- cles, organs and glands. Protein is also found in most of our body fluids except in bile and urine. Proteins, the building blocks of our body, can even repair the damaged body cells and even make new ones. For proper growth and development, we need protein rich foods during childhood, adolescence and even during pregnancy. Moreover, protein is also required for our immune system to synthesize neurotransmitters that help in creation and signalling of hormones. Protein plays a very important part in your baby’s growth and development. 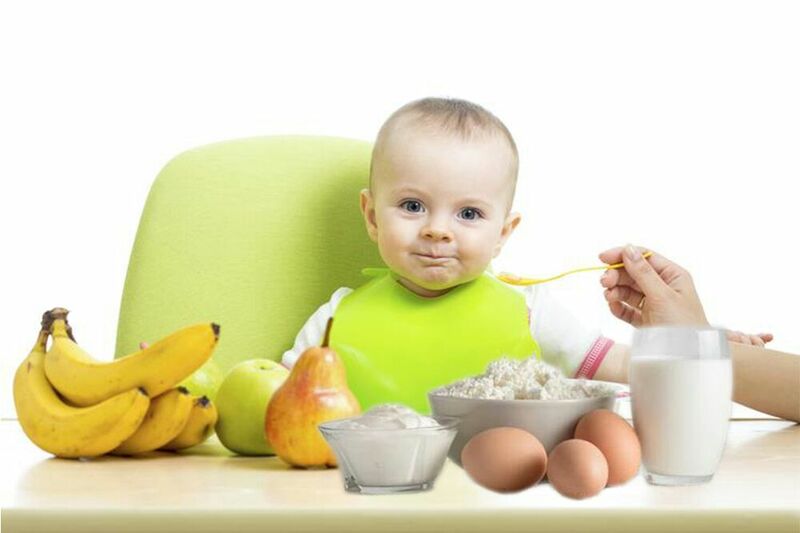 Protein is necessary in a baby’s diet because it supports the health of cells, tissues and organs as a baby grows. The human body needs 22 amino acids, but is only able to make 13 of them. The other nine must come from food and are known as ‘Essential Amino Acids’. When your baby eats food containing protein, it is digested in his stomach and absorbed by the gastrointestinal tract. Baby’s growth rate is higher than an adult’s, during this process, babies require constant supply of protein to offer a consistent pattern in growth. Proteins help the body grow and are important in tissue development as they contain amino acids that promote growth. However, many first-time parents do not know which foods to source proteins from their babies. A mother’s milk is the best source of protein for the baby. Additionally, milk contains whey and casein proteins, which are a perfect balanced combination as they are easy to digest by your baby’s digestive system. Formula milk is another good source of protein for babies. They are available in different forms, such as the protein hydrolysate, that consider all conditions, including allergies. Protein is abundant in dairy foods, such as milk, yogurt and cheese. Milk contains two types of protein: whey (20%) and casein (80%). Both are high-quality proteins, according to science-based rating scales, and both contain all essential amino acids in amounts sufficient to support the multiple roles of protein in the body. After age 1 baby can drink cow’s milk, a good source of complete protein. Yogurt and cheese can be served as a snack or as part of a healthy meal to help meet a baby’s protein requirements for the day. Fifty grams of soy protein daily can help lower cholesterol by about 3%. Eating soy protein instead of sources of higher-fat protein — and maintaining a healthy diet — can be good for your heart. Avocados are sometimes thought of as a vegetable, but they are actually a fruit! They also contain more nutrients than any of their food-group kin. Avocados have the highest protein content of any fruit and are rich in monounsaturated fat — the “good” type of fat that helps prevent heart disease. For babies too young to consume chunky solid foods, infant cereal helps meet protein needs. Bright Beginnings says to look for a high protein infant cereal. Infant cereal is generally recommended as the first solid food and doesn’t typically pose an allergy concern for most infants.